Along with a terrific new player bonus, Wizard Slots casino also offers one more welcome treat for the new players with its cashback boost promotional offer. This brings a chance to win up to 20% cashback every day for 31 days after they sign up. And, to make it easier for the players the cashback amount is automatically calculated and credited to their account. Read below for more information about this bonus to make sure you miss out on this amazing opportunity. This bonus is only available for the new players signing up at this online casino. Cashback will only be awarded on real money play. How to Claim the Daily Cashback at Wizard Slots Casino? 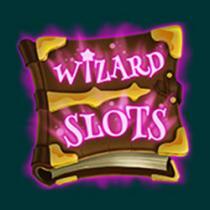 Sign up at Wizards slots casino and login to your account. Go to the cashier and make a deposit. Enjoy playing your favorite online casino games. If you lose, the cashback will be automatically added to your account the next day. Head to the 'my account' tab in your account. Repeat the above steps every day for 31 days after you sign up. Wizard Slots casino leaves no stone unturned when it comes to ensuring the happiness of the new players. Thus, the cashback that you get is added to your account as 'real cash' as it comes with no wagering to be fulfilled. Cashback that the players will be awarded depends on their VIP levels. The maximum and the minimum cashback that will be credited is capped at 20% and 1% respectively. Daily cashback is calculated as; daily deposits minus the withdrawals requested minus current balance. The Players must claim the cashback bonus before 23:59 GMT, the next day to prevent it from being fortified. The cashback is added as real cash to your casino account. Apart from Wizard Slots Casino bonuses & promotions, find other latest casino promotions ranging between No Deposit & Deposit Bonuses along with their bonus/promo codes here!